In November 2014, HP and Dscoop announced the formation of Jetcomm, a global community for users of HP Inkjet Web Presses. 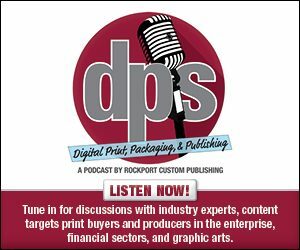 This worldwide group unites production inkjet printing providers around their shared interest in driving business growth, to enable them to learn from their peers, build trusted cross-market relationships and inspire one another with ideas and resources. The Jetcomm community will be officially inaugurated at the first annual Jetcomm Conference 2015, set to take place in Washington, DC, March 4-5. The conference will provide a dynamic inkjet-focused learning and networking opportunity for users of HP Inkjet Web Presses. At the conference, attendees will participate in educational sessions and meet with peers, HP inkjet experts, media and solutions experts and industry analysts. A site visit to the World Bank Group, which has an HP T230 Inkjet Web Press, is also part of the agenda. The response from HP customers in the Americas, EMEA, and Asia-Pacific regions has been overwhelmingly positive. The upcoming Jetcomm conference is already sold out and includes the attendance of senior and mid-level executives from a variety of application segments: publishing, production mail, commercial print, transaction and more. Jetcomm Conference 2015 will take place just before DscoopX. The two meetings will be held at the same venue making it easy for participants to attend both events. Dscoop is the independent community of HP Graphic Arts business owners and technical professionals who use HP Indigo, HP Scitex, HP Latex, and HP Inkjet technology and solutions.